The Volkswagen Tiguan got off to a good start when it was launched back in 2008, but should you buy this SUV? Read on to make your own mind up. The Volkswagen Tiguan got off to a good start when it was launched back in 2008, but then again, it would during a time where SUV popularity was shooting through the roof. SUVs have overtaken normal cars, like saloons and hatchbacks, to become the go-to cars for families. And, while there is an element of practicality to it, it’s mostly for fashion reasons. Yep, believe it or not, the car you’re looking at here is considered cool. 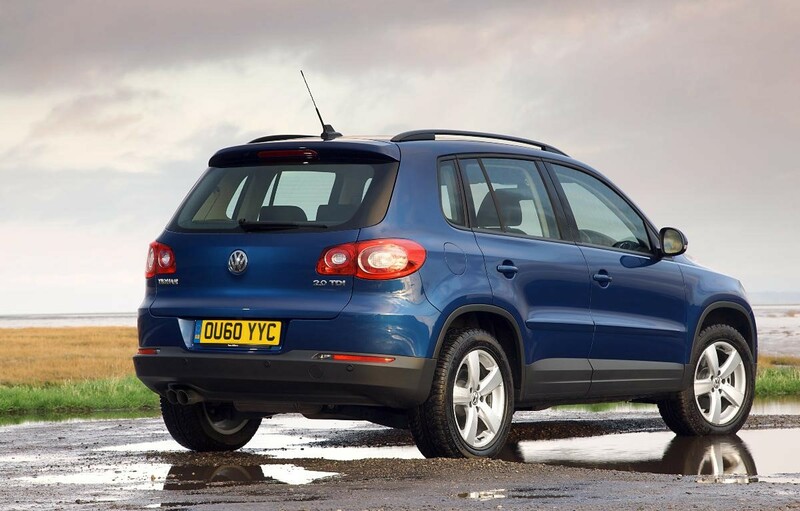 Having foreseen the rise of the medium-sized SUV, Volkswagen developed and launched its car for the sector back in 2008. 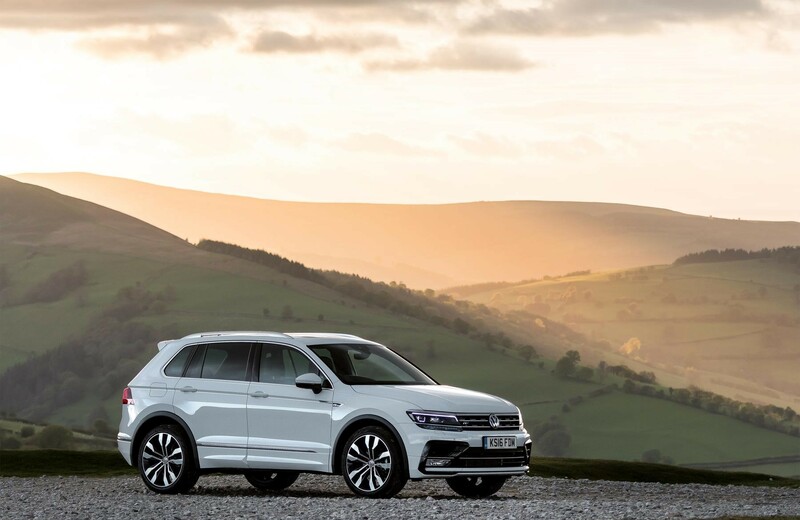 It’s probably best to think of the Tiguan as a Golf on stilts really, as it’s roughly the same size as the popular hatchback, it just sits much higher. Over its eight-year lifespan the Tiguan was a big enough success to spawn a second generation, and this is now one of VW’s best-selling vehicles. Volkswagen’s very strong performing 2.0-litre TDI diesel engine is always a good choice to go for, and it feels especially suited to the chunky feeling Tiguan. This engine is probably the best in the entire range, but the TSI petrol engines are also a good bet if you don’t do many miles. And they can be the more fun engines to own too, because Volkswagen did a great job in the handling characteristics of the Tiguan. In the corners it handles much like an ordinary hatchback, with only the high centre of gravity the clue to what you’re driving, otherwise it’s a good effort. 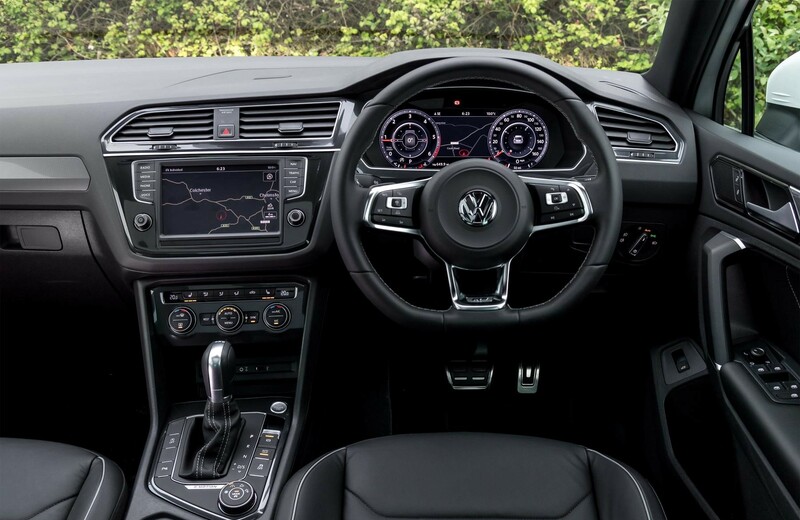 As with most VWs, we’d recommend the DSG automatic because the manual gearbox feels loose, and vague – certainly not up the standards VW sets itself. This is what the Tiguan is all about really. For a start, there’s a lot of useful little spaces and holders to place things in the cabin. Bottles, gloves, wallets, and phones will all find a place to sit safely in there – there are even little fold out tables for rear passengers in some models. The boot is a bit bigger than the one you’d find in a Golf – 615- litres to be precise – and that’s large enough for most needs. Humans sitting in the back will likely be comfortable for some time, unless they happen to be rugby players or professional wrestlers. As always, the running costs with a Volkswagen are pretty good. Both the TDI diesel engines and TSI petrol units return figures that are more than good enough when compared with rivals on the market. We’d say go for the 2.0-litre diesel, unless you’re covering small distances. For ultimate efficiency, go for a front-wheel drive model, as 4×4 systems use more fuel. Volkswagen servicing can be expensive, so if the car isn’t that young, it may be better value to get servicing and work carried out by a specialist instead of a main VW dealer. The motoring press can go a bit overboard with heaping praise on Volkswagen sometimes – here’s our take on the Tiguan. New, upper-price bracket cars like the ‘R-Line’ model are hugely expensive for what they are, and the interior is no better than the one you’d find in less premium marques. To add to that, the Tiguan isn’t all that comfortable to drive and can be a bit wearing over long distances. Honestly, it’s a bit expensive for what it is, and we feel the Skoda Yeti or Honda CR-V represent better value – the Honda is better quality too. Recalls have happened a few times in the Tiguan’s life. So make sure you use the DVLA recall checker tool before buying one to make sure all the relevant work has been carried out. 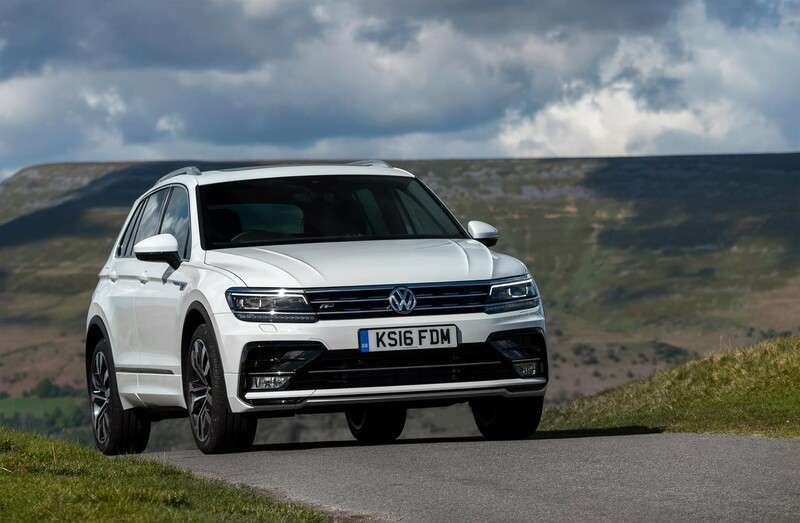 Carsnip’s editorial chief, Tim Barnes-Clay, says: Despite heavy praise from some sections of the media, the Tiguan is not the best of efforts from Volkswagen. It relies heavily on the VW brand – which you also have to pay through the nose for. And though it drives quite well, overall quality is low, and in R-Line trim it’s a very uncomfortable ride. I think rivals, like the Honda CR-V, Skoda Yeti, and Kia Sportage, are better bets.